Here's kicking off a regular product review (mostly foods) to help you make an informed choice. Do let us know if you wish to have any particular product reviewed by us. You can catch this review under the 'Experts Review' section in this website, too. The label reads - whole wheat at its heart, high fiber wheat biscuits, meets 20% of dietary fiber need, no artificial colors or flavors, no trans fats, zero cholesterol. The words 'heart', 'trans fat', 'fiber' and 'cholesterol' always attract consumers. At Rs 10/- per packet you wouldn't bat an eyelid before picking it up. 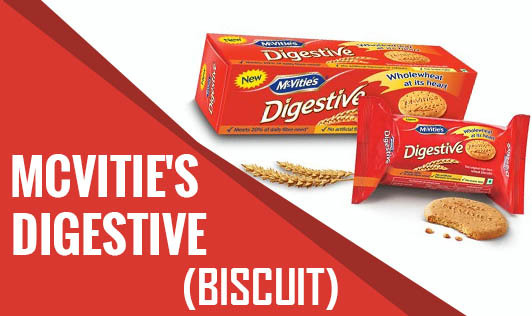 At tea time, it's easy to down a couple of biscuits (they are crisp and taste good!) and think that the fiber in the biscuit is going to protect your heart! The nutrition label gives a different story. 2 biscuits would give you about 3.5 g of fat, out of which 50% is saturated fat. If you are allowed 15 g of fat in a day, 20% of the allowance has gone down in 2 biscuits alone. Fiber content of 2 biscuits is 1 g. This is not 20% of the day's requirements. However, if you ate 100 g of the biscuit (more than 1 full packet), your fiber need will meet 20% but the fat intake also will increase to 22 g. Tricky isn't it?? Whole wheat flour is mixed with maida to make the biscuit, but in all fairness, it's difficult to make a biscuit using whole wheat flour alone. Since the ingredients are all plant-based, there would be no cholesterol in the biscuit anyways, but the claim 'zero cholesterol' makes it attractive. I would think twice before picking it up.